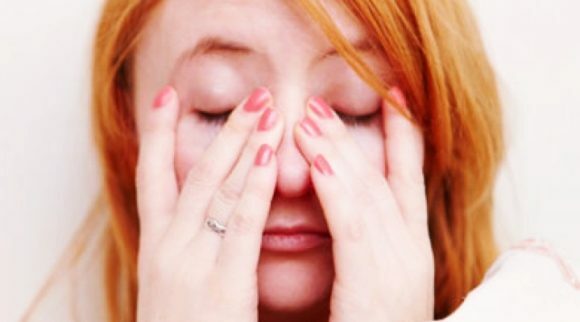 When you’re struggling with dry, swollen eyelids, just staying awake can feel uncomfortable. Dry eyelids can get very painful and make it hard to focus on what you’re doing. They can even interfere with your vision if they get too severe. 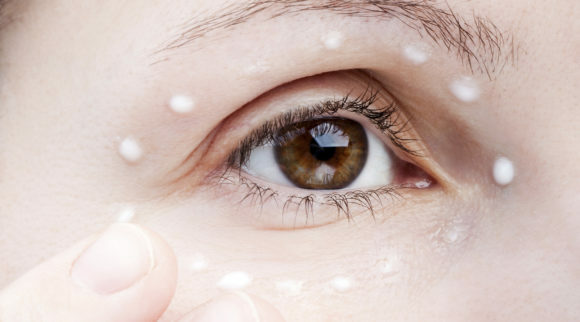 There are many products that promise relief for dry eyelids, but it’s hard to know which ones actually work – and which ones are good for your body. 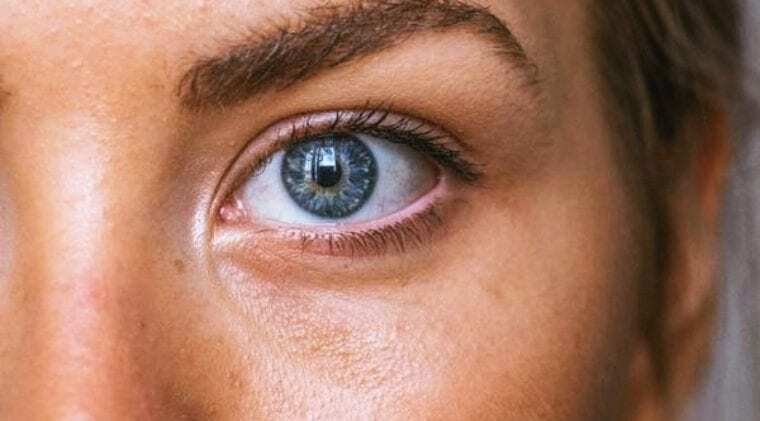 In this article, we’ll cover the potential causes of dry swollen eyelids, as well as some of the best all-natural treatment options. 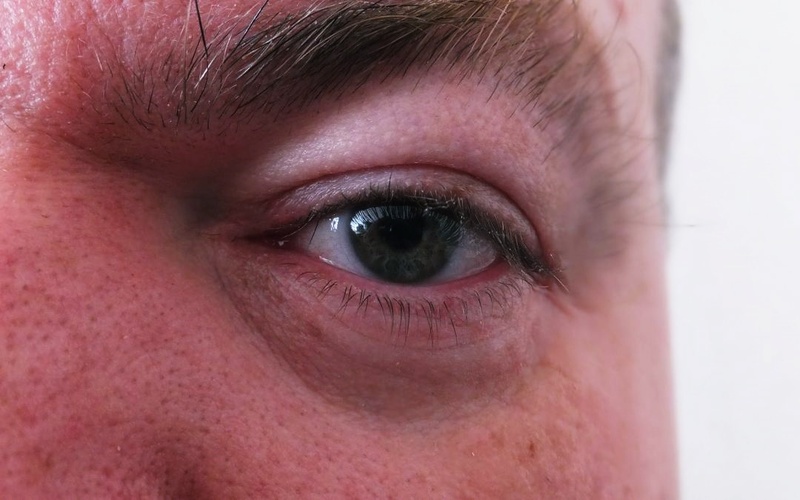 What causes dry, swollen eyelids? The climate you live in. Certain weather conditions can make you much more prone to dry skin – and this includes your eyelids. Low humidity levels in particular often result in dry skin on the most sensitive parts of your body. Consistent exposure to hot water. If you like to take very hot showers, it could lead to dry, swollen eyelids over time. The heat and steam from the shower may feel good, but it is irritating to sensitive skin. Age. Your skin is prone to drying out as you get older, so you might start to notice sensitivity on your eyelids and other parts of the body where the skin is very sensitive. Blepharitis. This is a condition where bacteria buildup on the eyelash line causes scaliness and irritation on the eyes and eyelids. Some people are prone to blepharitis, or it could be the result of another condition that’s causing bacteria buildup. Dermatitis. Another condition that can lead to dry swollen eyelids, dermatitis is when the skin gets irritated by contact with something like makeup, dust, or chemicals. You can also get atopic dermatitis, which is when the condition is inherited rather than caused by an irritating substance. Knowing what causes your dry, swollen eyelids can help you treat them. Even if you are treating your swollen eyelids at home, it is still always helpful to see an eye doctor to determine what the cause of your issue is and to receive helpful guidance on how to treat it. This is a bar soap made by the Heyedrate brand, who create handmade skin and eye care products in South Carolina. If you prefer a bar soap to a liquid treatment, this is a good choice for you. It is very convenient, because you can just keep it in the shower and use it as necessary each day. The main ingredient in this bar soap is tea tree oil, as you would expect of a product designed for swollen eyes. 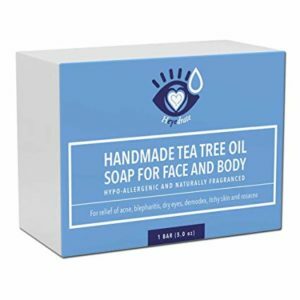 The soap uses only five ingredients total – tea tree essential oil, organic green tea, organic olive oil, organic coconut oil, and raw shea butter. Each of these ingredients offers moisturizing and soothing properties. Plus, they won’t irritate sensitive skin. These bars are also completely vegan and organic. Each bar of Heyedrate soap is five ounces, and for each product they sell, they donate a portion of the proceeds to someone in need of eye care. They source their ingredients locally, and their soap is cold pressed, which means the ingredients retain their purity. In addition to being very effective for eye care, this soap can also be used on your entire body and is very helpful for getting rid of acne. If you’re not crazy about the idea of using a liquid treatment, such as an eye wash for your dry swollen eyelids, you may want to consider using a compress. The Heyedrate Warm Eye Compress is specifically designed to treat dry, irritated, and swollen eyelids, and it is also very comfortable and easy to use. To use, all you need to do is heat it up in the microwave for 20 seconds as recommended, so you can conveniently put it on at the end of the day when your eyes are feeling tired. It’s completely washable, and it’s anti-bacterial and hypoallergenic, so you can keep it clean no matter how many times you use it. The beads inside this warm compress release a moisture that will help to keep your eyes stable and prevent further damage to your eyelids. 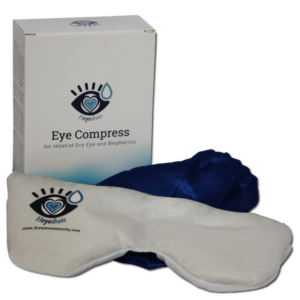 The compress also normalizes your eyes’ tear and oil production levels. You only need to use it for 10 minutes at a time to experience relief, ideally in the morning or at night. With regular use, you’ll start to notice that your eyelids are less dry and swollen. The design of the mask itself is very comfortable as well. It’s soft, so you don’t need to add any covers, and it has an adjustable strap to help you get the best fit. Finally, it’s completely non-toxic and latex free, so you never have to worry about unpleasant reactions. Not only does this mask help to treat your dry swollen eyelids, but it also gives you a little bit of luxury as well. The Swisskolab 24K Golden Eye Mask uses 24K pure nano-active gold, which is actually an antioxidant. They have anti-inflammatory properties, which is the first step to reducing swelling and discomfort. Also, these masks are very hydrating, and they contain a variety of ingredients that will not only provide relief for your eyelids, but they will also make you look and feel younger. Each mask contains plant-based collagen, which naturally makes your skin look fuller, as well as vitamin C, hyaluronic acid, and other natural extracts. These ingredients are soothing and will help the skin around your eyes look brighter in addition to feeling better. The masks come in small, sealed packages and are very easy to apply – you can wear them while you’re getting ready for bed or when you’re getting ready to go out in the morning. Each box contains 12 pairs. 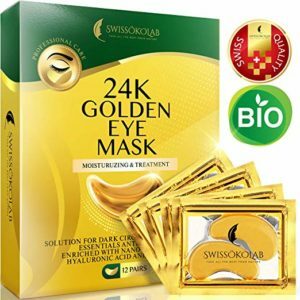 These Swissokolab 24K golden eye mask patches are so unique because they don’t contain any ingredients that will irritate sensitive skin. For most people with dry eyelids, anti-aging products are too harsh, but these patches are a good way to take care of your eyelids while also preventing dark circles, wrinkles, and other signs of aging. 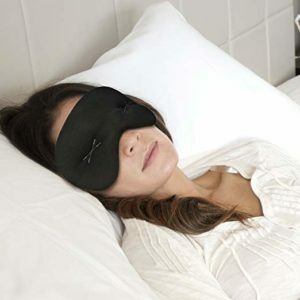 This is another eye mask, similar to the Heyedrate one mentioned earlier in this guide. However, this one uses cold therapy instead of heat therapy. The IMAK mask is excellent for reducing swelling from allergies and getting rid of irritation. Cold therapy works very well for this type of treatment, because it stops excessive blood flow to the irritated area. To use this pack, all you need to do is store it in the freezer until it becomes cool enough for your liking. The exterior of the mask is made with a cotton lycra fabric, which is very breathable and easy to keep clean. The interior contains ergoBeads, which conform to your face and provide comfortable relief. In addition, these beads won’t stiffen even after being placed in the freezer for a long period of time, which make the mask much more soothing to wear. Additionally, there is stitching on the mask to prevent excessive direct pressure on your eyes, which can be quite uncomfortable. As well as being very effective for soothing tired and puffy eyes, this mask is also great for soothing migraine pain, sinus pain, and other pain in the eye and nose area. 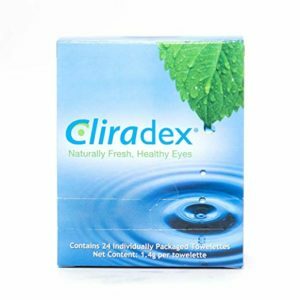 If you are looking for a convenient but reliable solution for your dry swollen eyelids, you may want to consider these towelettes by Cliradex. Cliradex is one of the leading brands in eye care products, and all of their treatments are very soothing and safe for sensitive skin. These towelettes are perfect to use when you need some quick relief after a long day. Just a gentle application to your face will help you wipe away any bacteria, dead skin, or dirt that has collected around your eye area. The main ingredient in these towelettes is 4-terpinol, which is the key active ingredient in tea tree oil. The addition of 4-terpinol to this product makes it very effective, because it is very concentrated. The formulation naturally soothes the symptoms of conditions like blepharitis and rosacea, and it also can kill Demodex mites that collect around your eyelashes. Additionally, the towelettes have anti-inflammatory properties. You can use these towelettes one to two times per day for gentle relief from dry eyes and irritation. This product is another set of wipes that is very convenient for cleaning and soothing your dry eyelids. They are all natural and contain essential oils that are scientifically proven to help with skin irritation, such as tea tree oil and coconut oil. They are very moisturizing, and because of their natural ingredient list, they won’t irritate your sensitive skin. They remove dead skin, dirt, and oil that has built up around your eye area, and they also work very effectively as a makeup remover. Visual Advantage products are made in an FDA and GMP compliant facility, so they are well-made, safe, and reliable. Each box contains 30 wipes, and you can use them proactively in addition to treating your eye problems. The wipes are individually wrapped, so they are great for people who travel often – you can carry them around with you and use them when your eyes start to feel irritated. Tea tree oil is one of the best natural treatments for dry eyelids, and it is one of the main ingredients in many natural cleansers. 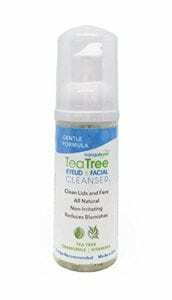 The EYEECO Tea Tree Eyelid and Facial Cleanser contains 1 percent tea tree oil to keep your skin free of bacteria and mites that could be causing your swollen eyelids. As an added bonus, this can also prevent acne on your entire face. It is a very gentle formula that doesn’t contain any ingredients that could dry your skin out or irritate it. This cleanser is made in the United States and comes in size options of 50 ml or 180 ml. It is completely vegan and gluten free and does not contain any parabens. It contains chamomile and shea butter, both of which are very moisturizing. In addition, it contains vitamin E, which is very effective for reducing inflammation. The cleanser has a satisfying foam consistency and is strong enough to remove makeup without being irritating. Plus, you only need a small amount for the cleanser to be effective, so it lasts for a very long time. The EYEECO company also donates part of their proceeds to multiple charitable causes, so they are a company you can feel good about supporting. 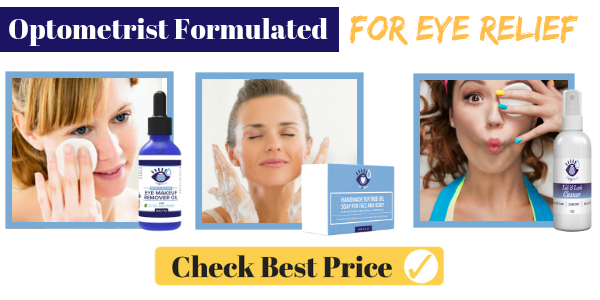 Eyecare Naturals is another brand that produces all-natural products to help you manage your eye and skin conditions. 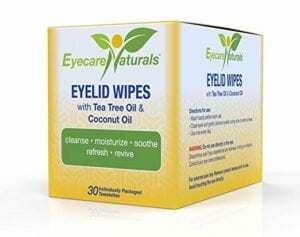 These natural wipes are an excellent solution for treating your dry swollen eyelids in just a few seconds. They are very effective for removing dirt, oil, and dry skin from your eyelids in a quick swipe. Plus, you can also use them to remove makeup. Their main ingredient is tea tree oil, but they also contain coconut oil. Coconut oil is very moisturizing and will help prevent your eyelids from drying out. 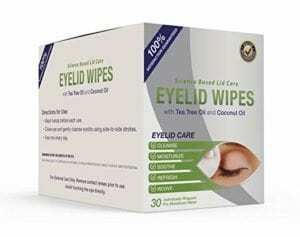 Each box of the Eyecare Naturals eyelid wipes contains 30 individually wrapped wipes that you can take on the go with you while you’re traveling or just going about your day. They are made in the US in FDA and GMP compliant facilities. Also, they are designed for sensitive skin, so you don’t have to worry about uncomfortable irritation when using them. If you’ve struggled with dry eyelids for a long time, you may not even realize you need treatment to help with this frustrating condition. Dry eyelids are manageable, but you do need to use cleansers and soothing treatments like the ones listed in this article to keep your eyelids in good condition. When your skin is irritated, it can get scaly and start to flake off. This is your body’s way of trying to heal itself, but it can be very annoying, particularly if that dead skin starts to get into your eyes. Eyelid treatments will moisturize the area to prevent the skin from flaking. When you are struggling with an eye condition, you will notice redness in the eye, on the eyelid, and around the bottom of the eye. This is because extra blood is flowing to the area to help heal it. If your eyes are itchy, you also may be more prone to rub them, which can cause further redness. The extra blood flow to the area around your eyes can cause swelling and a puffiness both above and below the eyes. This can be very uncomfortable and even affect your vision. Cooling treatments are particularly effective for reducing swelling. When your eye is irritated, it will naturally produce more tears to try and get rid of the bacteria or any other substances that are causing the problem. Unfortunately, this can lead to unpleasant crusty eyelids, particularly after a long night of sleep. Eyelid treatments can help manage oil production to prevent this from happening. Everyone gets itchy eyelids from time to time. However, if you find that your eyes are constantly itchy, it could be a sign of a larger problem. 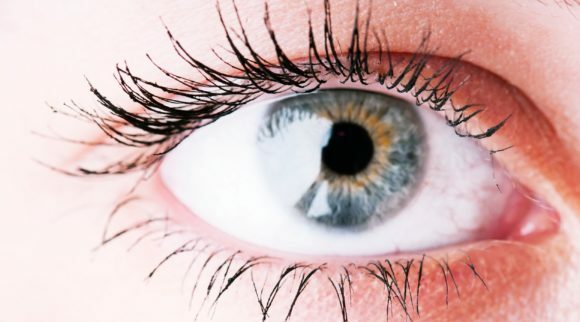 Itchy eyelids are very uncomfortable and distracting, and if you are rubbing or scratching your eyes as a reaction, it can actually cause damage to this area of the body. 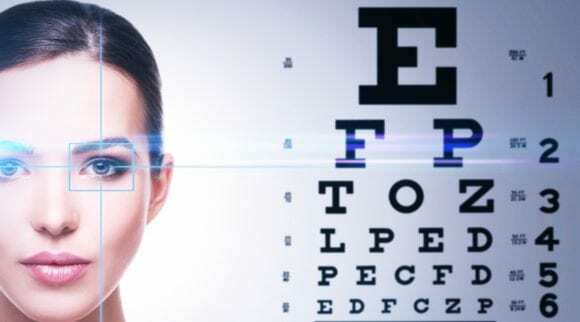 If you are noticing any of these symptoms on a consistent basis, you may want to consider seeing an eye doctor. They will help you determine what is causing the problem. Plus, your doctor may be able to prescribe you something powerful enough to deal with the issue. They will also help you determine what natural, over-the-counter remedies are going to be most helpful for dealing with the problem on a day-to-day basis. 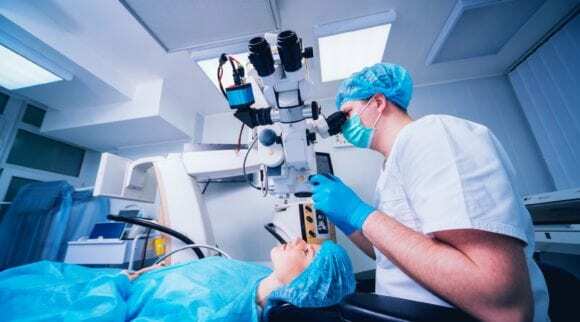 There are a wide range of eyelid treatments on the market, and it can be difficult to determine which ones are going to be most effective for you. There are certain ingredients and characteristics to consider that can help you narrow down the best option for your unique needs. Here’s what to look for when shopping for a natural eyelid treatment. Of course, the most important thing to consider when shopping for an eyelid treatment is that it won’t irritate your sensitive skin. The skin on your eyelid is very delicate, so ingredients that feel soothing on the rest of your body might be too harsh for your eyelids. Read the entire list of ingredients before purchasing anything, and if there are any ingredients you don’t recognize, do a web search to find out how they might affect your body. You may even want to do a test on the inside of your arm before using it on your eyes, just to make sure you don’t have any allergic reactions to the product. Generally, natural ingredients are going to be the least irritating for your skin. However, some people are still allergic to natural ingredients, which is why doing a test is an important step. There are two main things you need to treat dry, swollen eyelids. First, you need something to bring down the swelling. Then, you also need something that’s going to moisturize the dry skin around your eyes. Tea tree oil is one of the most common anti-inflammatory ingredients in eyelid treatments, but there are many others that are effective. Common natural moisturizing ingredients include shea butter and coconut oil. The key is to figure out what the ingredients in the treatment actually do – this will help you determine how effective the treatment is going to be. While your eyelid treatment needs to be gentle, it also needs to be strong enough to get rid of the things that are causing the irritation, namely oil, dirt, bacteria, dead skin, and makeup. You should be able to use your eyelid treatment to wipe away these things and keep your face clean and hygienic. Having a solution you can use throughout the day when your eyelids start to get irritated will go a long way towards preventing further problems. It’s very important that the eyelid treatment you choose feels good in addition to having great ingredients. After a long day, your eyelids are likely to feel quite irritated, so it’s nice to have something that will instantly get rid of the discomfort you’ve been experiencing. Both heating and cooling treatments can be very effective, so it’s just up to you to determine what feels best on your skin. You may need to sample a few different eyelid treatments to decide which one you like best. Your eyelid treatment needs to be very easy to use and apply. If it’s difficult to put the treatment on after a long day, you’ll probably feel frustrated with it, and you won’t be motivated to take care of your eyelids each day. Convenience is a very important factor to consider when treating dry, swollen eyelids. Once you find a treatment that works for your eyelids, you are going to need to repurchase it continually. Because of this, it’s important to find an eyelid treatment that is reasonable and works for your budget. If you find a great eyelid treatment but you can’t afford to continually repurchase it as needed, it will be difficult for you to take care of your skin condition as well as you need to. Keep in mind also the amount of product you are getting for the price – sometimes a product may seem more expensive up front but is cheaper per unit and will last you for a long time. Choosing a good eyelid treatment can make a huge difference in your overall comfort level when you are struggling with dry eyes. 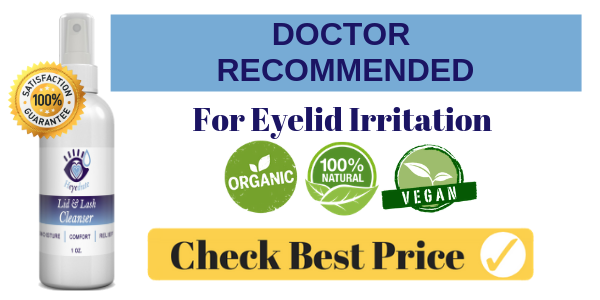 Having dry and swollen eyelids can be very frustrating while you are going about your day-to-day life, and you need something that will help you stay as comfortable and healthy as possible. In addition to seeing a doctor and purchasing products that can help you manage your eyelid condition, there are also some at-home remedies and solutions you can try to make your life a bit more comfortable when dealing with dry eyelids. Having a wide array of strategies to manage your dry eyelids will help you stay healthier in the long run. Here are the best at-home solutions for dry, flaky, and swollen eyelids. In addition to using the eyelid-specific products that we have mentioned in this article, you can also cleanse your eyelids using this awesome lid and lash cleanser. Never use baby shampoo because, although it is an effective cleaner, it contains detergents that can irritate your skin. Add a humidifier to your environment. Another great way to reduce flaking, dryness, and irritation is to put a humidifier at your home and work. One of the most common reasons that people develop dry eyelids is because the environment around them is too dry. Humidifiers will balance the moisture level around you and can prevent your eyelids from becoming so dry. If you consistently struggle with dry eyelids, you may want to purchase a few small humidifiers and keep them in the places where you spend the most time. When you touch your face, you can inadvertently transfer dirt and bacteria that you’ve encountered throughout the day onto this very sensitive part of your body. This can severely irritate your already swollen eyelids. To prevent this from happening, you should avoid touching your face whenever possible. If you do have to touch your face, make sure you wash your hands first to get rid of any bacteria or other irritants. Eliminate scented products from your skincare routine. Artificial fragrances can be very irritating for people with sensitive skin and removing them from your daily routine can make a big difference in how your skin looks and feels. This can be anything from scented skincare products to perfume sprays to scented makeup. In general, you should always thoroughly review the ingredients in the products you purchase before putting them on your face. If you have dry eyelids, it’s also best to avoid wearing eye makeup until the dryness has gone away, as applying eye makeup is likely to further exacerbate the problem. Put cold tea bags on your eyes. This is an easy and affordable home remedy for dry eyelids that feels very soothing and can be very effective when used consistently. By cooling off the tea bags before you use them, you give your face an instantly soothing treatment. Tea also contains antioxidants that are very nourishing for your skin, so having them in close contact with your eyes can be very beneficial but won’t irritate them. In addition to soothing your eyelids, this treatment can also be quite helpful for dark circles and fine lines. Massage your face with shea butter. Many natural eyelid products actually contain shea butter, but you can use it by itself as well if you want to give your eyes even more hydration. Shea butter is unique in that it is very moisturizing without being irritating, so it is perfect for use on any sensitive skin. Melt the shea butter between your fingers and then gently apply to your eyelids. You can also apply to any other areas on your face that need some extra moisture. This can also help prevent fine lines and wrinkles as well as prevent dry, flaky eyelids. These natural, at-home strategies will help you manage your dry eyelids without much extra effort. By staying on top of your condition, you will be able to prevent discomfort and pain throughout your day. Use this guide to help you find the best solutions for dry eyes so you can be more productive and comfortable. Of course, you should always see a doctor if your dry, flaky eyelids are very persistent. They will help you determine the cause of your dry eyelids and find solutions that make the most sense for you given your condition.